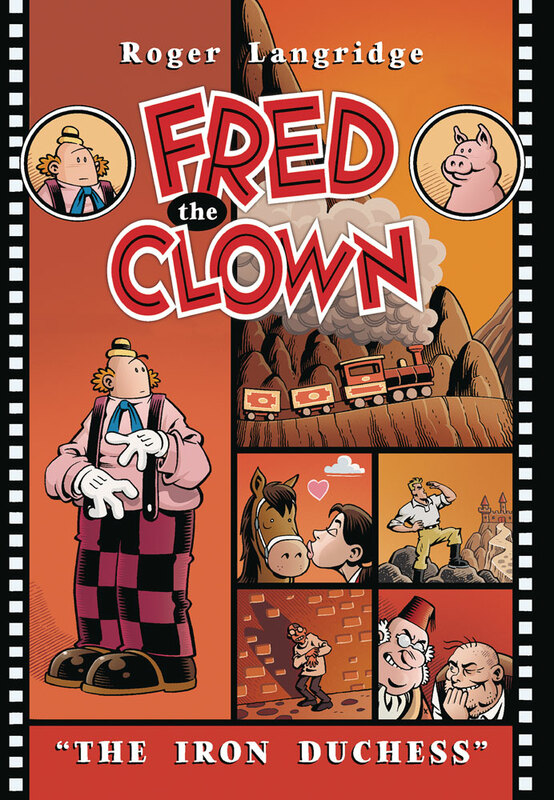 This nearly wordless romp from master cartoonist Roger Langridge is the author’s paean to the silent, heartbreaking slapstick comedies or the teens and ’20s, spun for a contemporary audience, starring his most popular character. It finds our hero Fred pitching the woo to a lovely equestrian. But with matrimony-minded fathers, boorish beaus, and malicious mad scientists interfering at every opportunity, what’s a clown—and his faithful pig companion—to do? Langridge’s velvety grays evoke the silent films of his patron saint, Buster Keaton (and, in this volume particularly, the latter’s masterpiece, The General). His craft is at a zenith, and captures every screwball twist and turn of the heiress’s and our hero’s romantic roundabout.